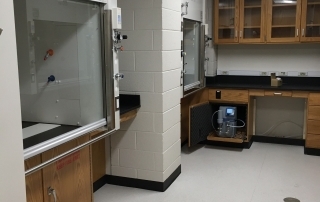 A modular lab-by-lab approach to scientific vacuum systems! 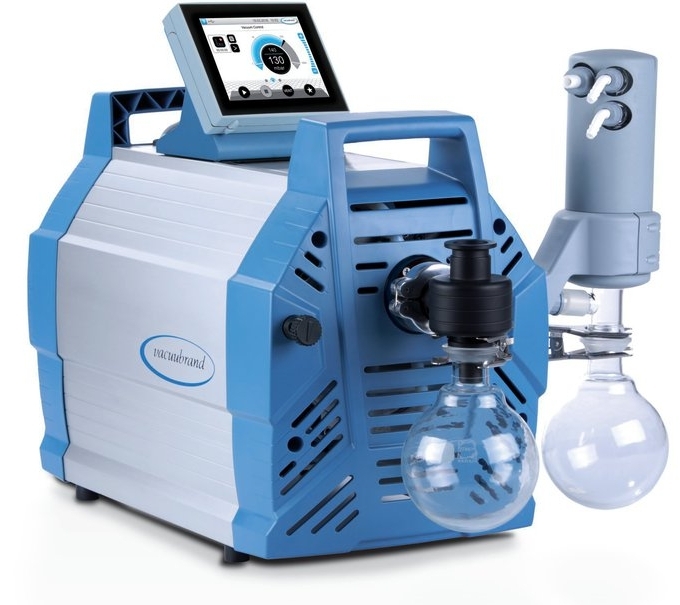 VACUU•LAN® local vacuum networks use an oil-free, compact VACUUBRAND pump to support multiple vacuum ports in a lab. 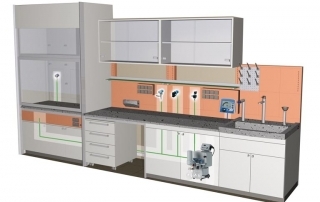 Our vacuum networks combine the space efficiency of a central vacuum system with the process isolation achieved with individual workstation pumps. A single pump can support work groups of up to 20 simultaneous users and provide vacuum as deep as 2 mbar (1.5 torr). Due to their performance, flexibility and ease of installation VACUU•LAN® networks have become the preferred choice of leading architectural and engineering firms, educational institutions and research organizations. 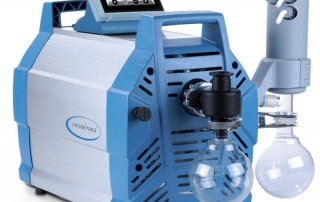 VACUU•LAN® local vacuum networks use an oil-free, compact VACUUBRAND pump to support multiple vacuum ports in a lab. 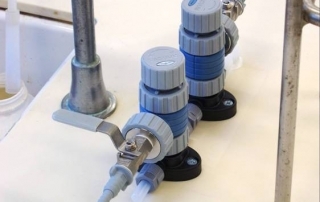 A single pump can support work groups of up to 20 simultaneous users and provide vacuum as deep as 2 mbar (1.5 torr). 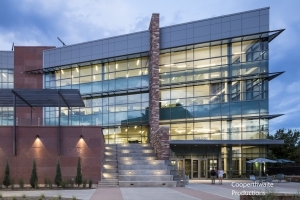 Due to their performance, flexibility and ease of installation VACUU•LAN® networks have become the preferred choice of leading architectural and engineering firms, educational institutions and research organizations. 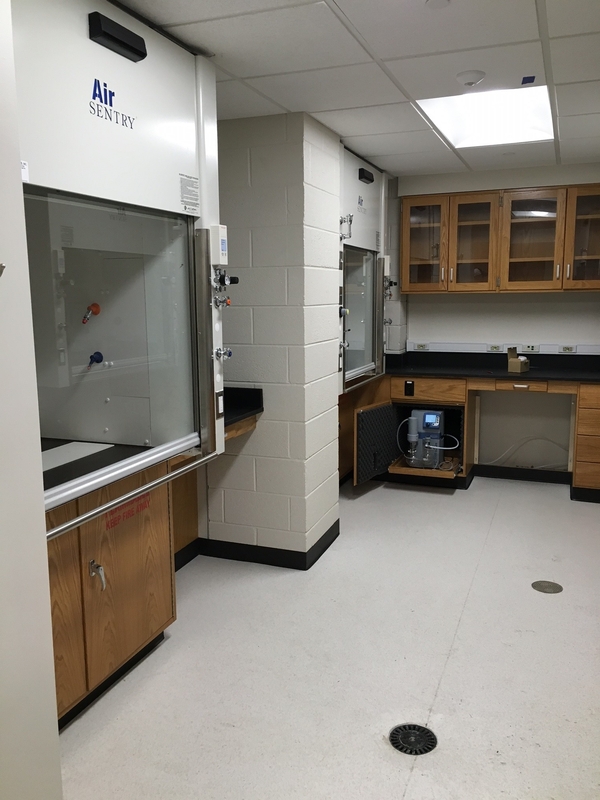 A lab vacuum approach that benefits everyone! 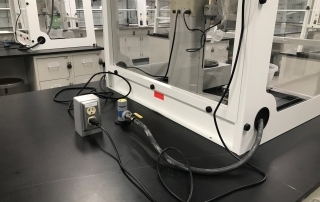 Local vacuum networks not only provide technical advantages for scientists working in the lab but also produce significant benefits to facility managers and installers. VACUU•LAN® lab vacuum networks use oil-free, compact, diaphragm VACUUBRAND pumps and can support up to 25 active workstations at a time. 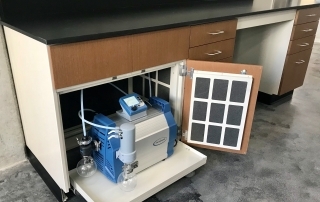 The vacuum pump is small enough to fit under a lab bench or in a fume hood cabinet and quiet enough to operate virtually unnoticed. Chemistry-rated vacuum pumps are constructed with fluoropolymers and perfluoroelastomers for all wetted materials to provide high corrosion resistance. Vacuubrand vacuum pumps are designed to significantly reduces noise in the laboratory. The whisper quiet pumps operate between 45 and 52 decibels. All VACUU•LAN® networks use VACUUBRAND oil-free dry diaphragm pumps, which reduce operating and maintenance costs. Vacuubrand diaphragm pumps have typical service intervals of 15,000 hours or more. 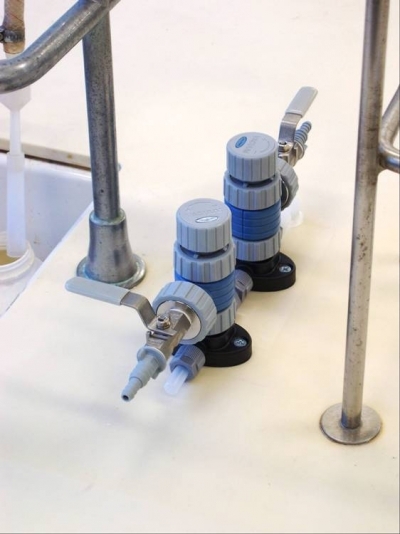 Fluoropolymers and perfluoro elastomers are used for all wetted materials in our chemistry diaphragm vacuum pumps. 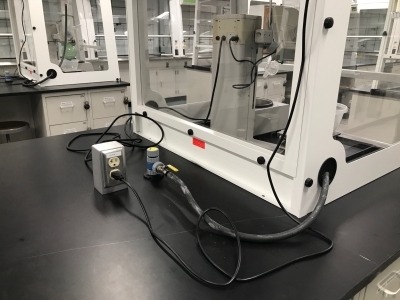 VACUUBRAND vacuum pumps are small enough to fit under a lab bench or in a fume hood cabinet, saving precious lab space. Learn more about our pumps! VACUU•LAN® local vacuum networks use specially designed vacuum fixtures to allow for easy application connection. Check valves are incorporated, which provide application isolation and ensure sufficient vacuum capacity. 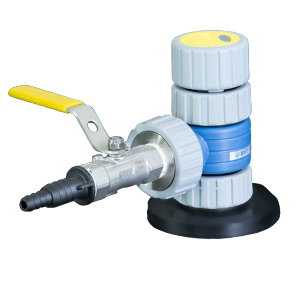 Integrated check valves for process isolation and to reduce the risk of cross-contamination. Fixtures are designed with chemical resistant wetted materials to handle aggressive chemicals. Fixtures for bench top and wall mounted locations. 2-piece design. 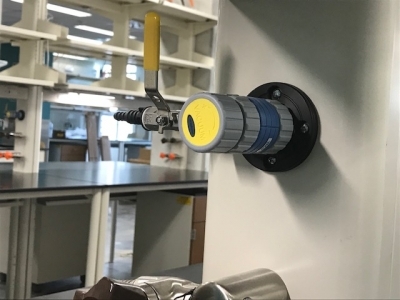 Flow control mounted on fume hood post and nozzle for mounting inside fume hood. Provide choice of quick shut-off and flow control valve. Learn more about our fixtures! VACUU•LAN® networks use flexible PTFE tubing and PVDF compression fittings, which makes it quick and simple to install a leak-tight vacuum system. 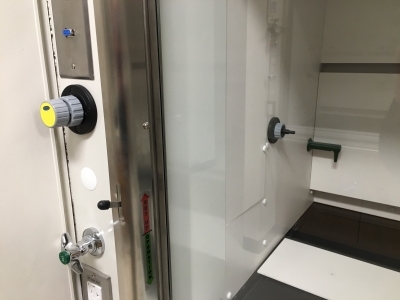 Installations are limited to lab space so large diameter building-wide tubing runs are eliminated. 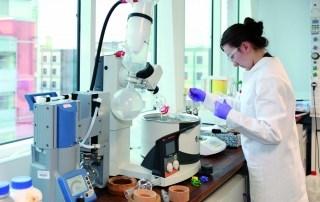 PTFE tubing and PVDF fittings withstand chemical attack by common lab chemicals. Materials won’t degrade over time, providing strong vacuum for the life of building. 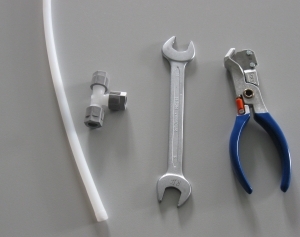 Simple hand tools are all you need to make leak-tight connections. Easy to coordinate with other trades during construction. Flexible tubing and compression fittings mean installation can be done fast, keeping your project on track. 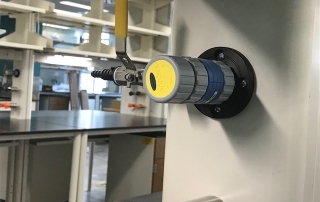 A full array of accessories are available to compliment your VACUU•LAN® network to give your the most control and flexibility for your laboratory vacuum applications. Add individual control to any network inlet with the VACUU·SELECT® complete controller. Move it from location to location as needed. 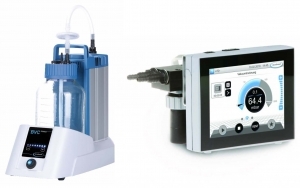 Self-contained system for fluid aspiration, complete with filter and collection flask. Ergonomic hand control can be supplied with any VACUU•LAN® network to support cell culture work. A quick-start network that can support up to three applications simultaneously. Learn more about network accessories! 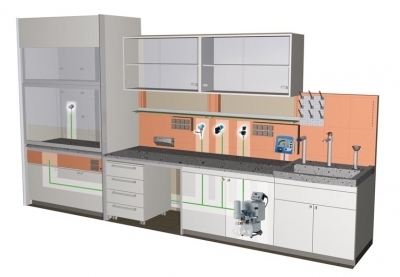 VACUU•LAN® lab vacuum networks use oil-free, compact, diaphragm VACUUBRAND pumps and can support up to 20 active workstations at a time. 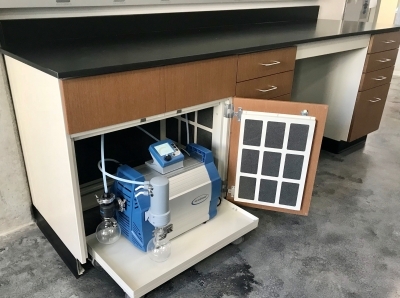 The vacuum pump is small enough to fit under a lab bench or in a fume hood cabinet and quiet enough to operate virtually unnoticed. Chemistry-rated vacuum pumps are constructed with fluoropolymers and perfluoroelastomers for all wetted materials to provide high corrosion resistance. VACUU•LAN® local vacuum networks use specially designed vacuum fixtures to allow for easy application connection. Check valves are incorporated, which provides application isolation and ensure sufficient vacuum capacity. 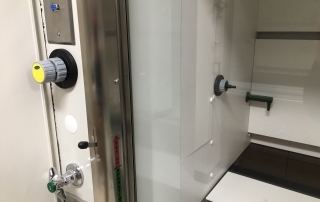 VACUU•LAN® local vacuum networks provide deep and stable vacuum to help support the research and development in your pharmaceutical laboratory. VACUU•LAN® networks provide the most process isolation of any multi-user vacuum system helping to preserve sample purity. 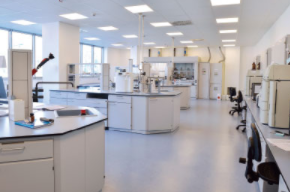 VACUU•LAN® networks are flexible and adaptable to support the needs of multidisciplinary teaching and research labs. 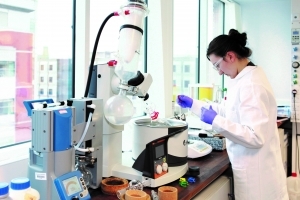 High chemical resistant vacuum pumps and networks components ensure system longevity while providing the deep vacuum needed for chemistry applications. 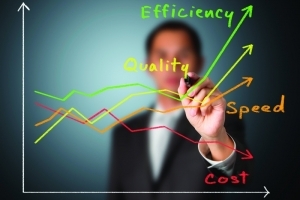 Supply your buildings with a flexible, adaptable and sustainable vacuum system. We provide resources to help you design the ideal vacuum system. A vacuum system that provides the performance scientists need and the low maintenance facility managers appreciate. For product information or customer support, call us directly or fill out the form and we will be in touch.